Action Packed 800 Calorie Kickboxing Workout! Get Fit & Look Great! Introductory Program: 2 classes (Private and Group Lesson,and FREE Fitness Consultation) for ONLY $29.95! We Want To Be Absolutely Sure That This is The Right Fit For You! *Please Note That You Will Have To Take A Private Lesson Before Any Classes Are Taken. Please Call Or Email To Schedule Your Lesson! This Ultimate Workout Can Burn 900-Calories Per Hour! There is nothing that will get you in shape faster than Kickboxing Fitness. If you're tired of the same old treadmill and weight machine workout, then you'll be excited to know of a superior way to whip your body into excellent shape. Here at Tokyo Joe's Studios of Self Defense you will get into incredible shape, really FAST! Our qualified instructors know how to make you feel special, and how to keep you focused and on track. Our knowledgeable and experienced instructors have won numerous national competitions. They know how to create motivational workouts that are upbeat, exciting and consistently challenging to your mind and body. Too Good to Pass Up! 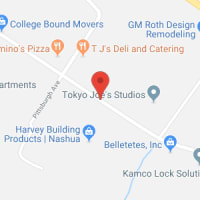 If you are looking a way to get into the best shape of your life, in the least amount of time, then Tokyo Joe's Studios of Self Defense is for YOU. 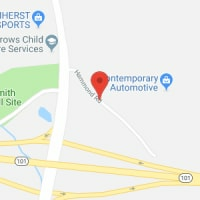 If you live of work near the Merrimack, Litchfield, Pelham, Milford, Brookline, Dunstable, Hollis, Hudson, or Nashua New Hampshire, come meet our staff and see our studio. Just fill in the form on the right and information on how to get started will be sent immediately to your inbox. Plus, endless energy to get you through your day! Anyone who is looking for some personal challenge and strength, check out this place! I highly recommend this place to everyone... Doesn't hurt to feel better! I met Bobby and Dave Lamattina when I was 12 and they are 2 of the best people I know. One of my bigest regrets was when I stoped taking classes when I got into high school. I'm 41 now and my daughter and take classes now my first day back was like coming home. I love you guys and thank you for every thing you do for your students and the community. Best kickboxing classes!! Love the environment, people and all the teachers!! !